Edward Snowden is a name you may have seen in the news or in magazines. But, what did the man do that made him iconic? Here, we take a look at his journey at the NSA and his route to being one of the most iconic whistleblowers of all time. 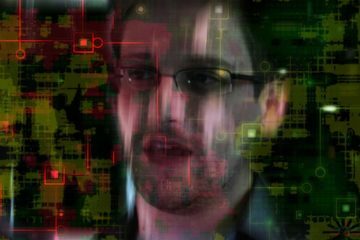 Snowden’s official occupation still stands as a Computer Programmer, even though he is now known to be much more than a programer. 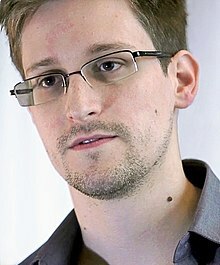 Snowden was born in 1983 on 21st of June in Elizabeth City in North Carolina. For his education, he took classes at a community college in his teens and pursued an online degree from the University of Liverpool, but eventually didn’t complete it. Snowden’s political views have always been radical and anti-establishment. He was a strong supporter of Electronic Frontier Foundation and the Tor Project. Snowden felt a duty to help civilians suffering in the Iraq war and so, he enlisted himself in the United States Army Reserve on May 7, 2004. Through its 18X enlistment option, he became a Special Forces candidate. Unfortunately, he did not complete the training because of breaking both legs in a training accident. In 2005, Snowden was employed for less than a year as a security guard at the University of Maryland’s Center for Advanced Study of Language, a research center sponsored by the National Security Agency (NSA). Soon, he attended a job fair for intelligence agencies and accepted a place at the CIA. During his time at the CIA, he was stationed in Geneva, Switzerland. Snowden was “considered the top technical and cybersecurity expert in Switzerland” and “was hand-picked by the CIA to support the president at the 2008 NATO summit in Romania”. In February 2009, he resigned from the CIA and returned to the NSA as a subcontractee. In 2009, he also started working with Dell on a contractual basis. Here is where he rose from supervising NSA computer system upgrades to working as what his CV showed as a “cyber strategist” and an “expert in cyber counterintelligence” at several U.S. locations. Some say Snowden started downloading confidential NSA documents while being on Dell’s contract. He was transferred to Hawaii where he also had a contract with Booz Allen Hamilton – a consulting firm. Snowden quit his job at Dell, about 3 days after what he later called his “breaking point”, when he said that “seeing the Director of National Intelligence, James Clapper, directly lie under oath to Congress” about the invasion of privacy that NSA’s surveillance mechanisms did. This was March 2013. Snowden quit Dell, but was still an NSA contractee and employed himself at Booz Allen Hamilton so that he could still see NSA’s security surveillance secrets and download more information to eventually blow the whistle. This whole time his ”treacherous actions” were slipping under the radar. Instead, he was the NSA’s local hero. Snowden was called the “genius among geniuses” as he continued to put up a front by showing a pro-NSA stance in the office but was looking for the right time to put them under the gun. Through his years at the NSA, Snowden collected top-secret documents regarding NSA’s domestic surveillance practices that he found disturbing and in grave violation of civilian privacy. He knew it was time to get official attention to the matter. He said that he tried pointing out the problem to officials at the NSA itself but no one listened. He was told to stay silent. “I had raised these complaints not just officially in writing through email, but to my supervisors, to my colleagues, in more than one office. There was no internal action from the NSA and thus, Snowden sought to leak the documents anonymously. As per the initial estimate made by the NSA Director, Keith Alexander, Snowden was believed to have copied anywhere from 50,000 to 200,000 NSA documents. But later, the numbers were bumped up to 1.7 million. These were disclosures about NSA conducting surveillance not just in the US but on a global level. Snowden leaked the documents after making contact with Glenn Greenwald who was a journalist working with The Guardian. The place where he met Greenwald and disclosed all of the information was in Hong Kong. He was able to do this because he took a temporary leave from the NSA citing a “doctor’s treatment” and flew to the Chinese countryside to disclose all the information. Edward Snowden’s story was and is one of the most intensely covered leaks of all time, making him one of the most famous whistleblowers. This was also because the documents he leaked just didn’t have ramification for the US citizens but for the entire world because of NSA’s global surveillance strategy. Within weeks of publishing the documents and the ‘story with Snowden’ as an anonymous source by The Guardian, the article caught fire worldwide. In February 2014, journalists Glenn Greenwald, Laura Poitras, Barton Gellman, and The Guardian′s Ewen MacAskill were honored as co-recipients of the 2013 George Polk Award for reporting based on Snowden’s leaks. They dedicated the award to Snowden. A documentary of Snowden giving these revelations and leaks was also made and it was called Citizenfour. This movie went on to win an Oscar. Snowden has now come out as the source of the leaks worldwide but is still to undergo trial in the US courts of justice. He now seeks foreign shelter in Moscow, Russia. He is known to be on an indefinite exile. In February 2017, it was speculated that he would return to the US, based on the US President Trump and his Russian counterpart Vladimir Putin’s friendly ties. It was surmised that Trump would put him on trial and/or give him punishment for his activities. There was also a campaign run by the left-wing supporters to pardon him but an anti-campaign was run by the House Intelligence Committee to not grant the pardon. Eventually, the tussle led to no fruition. Currently, Edward Snowden’s freedom on the US soil hangs on a thin edge and so does the permanence of his exile in Russia. He has been hailed as a hero and a traitor by many, but today he is known to educate citizens on what the government can do to invade privacy and how the fundamental right of privacy is a must. All these have pushed legislative, judicial, and awareness-based actions across the globe. Snowden Effect – Messiah Or Mistaken identity?